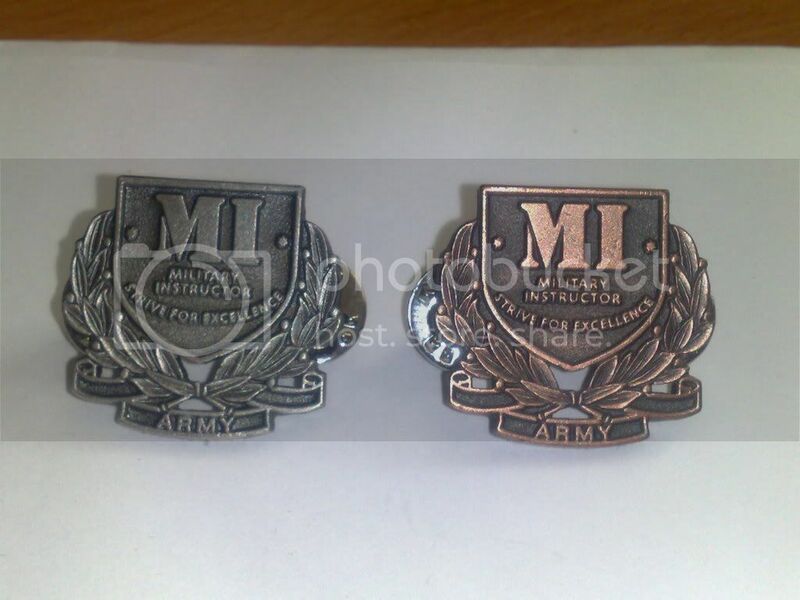 Australian Army Military Instructors Badges - current issue. Only issued in these two colours. Worn by Army instructors. Is that silver and gold? More like a pewter/silver and bronze.